The long wait is over. 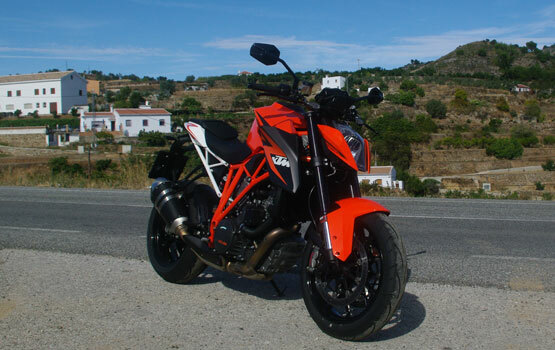 After the unbelievable online buzz the new-age KTM 1290 Super Duke R created when the company unveiled it last week, Bike India gets a taste of this radical new machine in Spain, first hand. 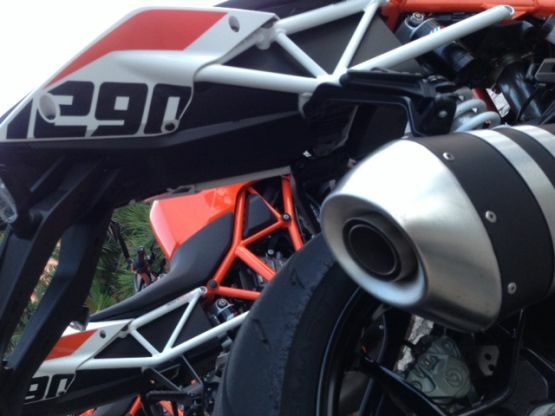 KTM lovingly calls it ‘The Beast’ and it sure looks the part, with its razor sharp design, brightly coloured and rigid Trellis frame, long single sided aluminium swing arm, massive tyres for the much needed traction, chunky upside-down forks and directly linked rear shock to complete the Street-fighter styling. 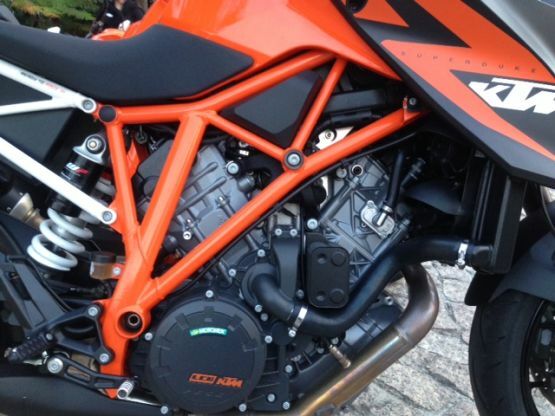 The new Superduke comes with a 1,301cc liquid cooled V-twin, based on RC8 R Superbike with Ride-by-Wire, with more power than you ever desired on a motorcycle, 180 PS to be exact. But despite being a ‘Beast’ it comes with sophisticated electronics to assist you like ABS and traction control. During my first ride on the fantastic roads of Malaga, Spain, these electronics helped me tame the wild super bike. The hefty power and torque were kept in control with new-age engine management system and pre-set power mode for rain, city and sporty ride conditions. These make the bike very forgiving. So if you whack open the throttle at the wrong time the engine management system will ensure that even then there is no abrupt gush of power and everything continues in a smooth and linear fashion. But of course, the brave have the option to disengaging all this wheelie and stoppie control system to have some more fun, if they so choose. 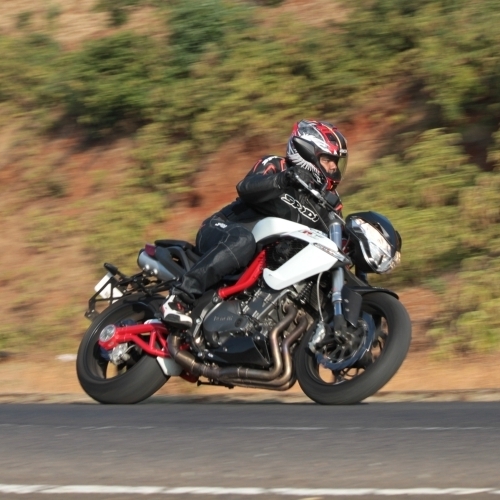 Once out of the city and on to the scenic open road, twist the throttle and the 1290 shows its brilliance, and takes off like few machines we’ve ridden before. 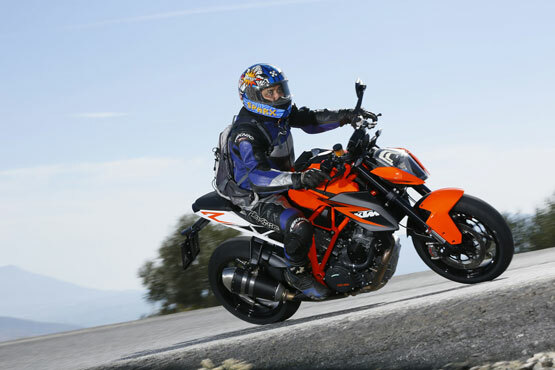 I have yet to ride the bike on the track tomorrow, where KTM has assured that the special ABS system’s ‘supermoto’ mode will give us one helluva riding experience. 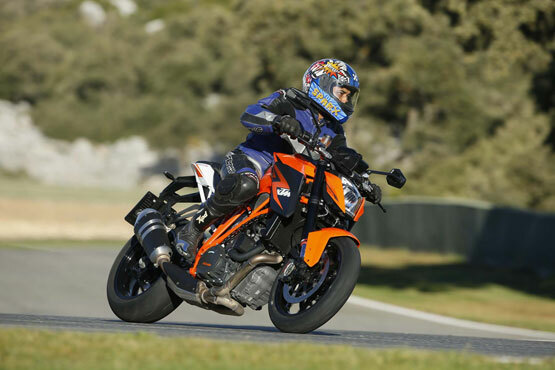 But of what I have got to experience so far, the 1290 Super Duke R is right on top of the KTM pyramid. It’s fast, radical, compact and yet very powerful, but most importantly it is good fun to ride. it”s so nice bike and any one can tell me on road price ………….